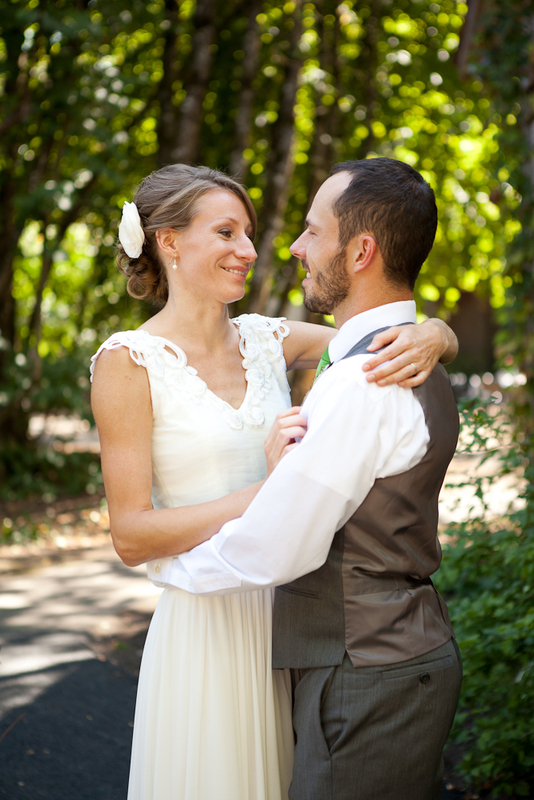 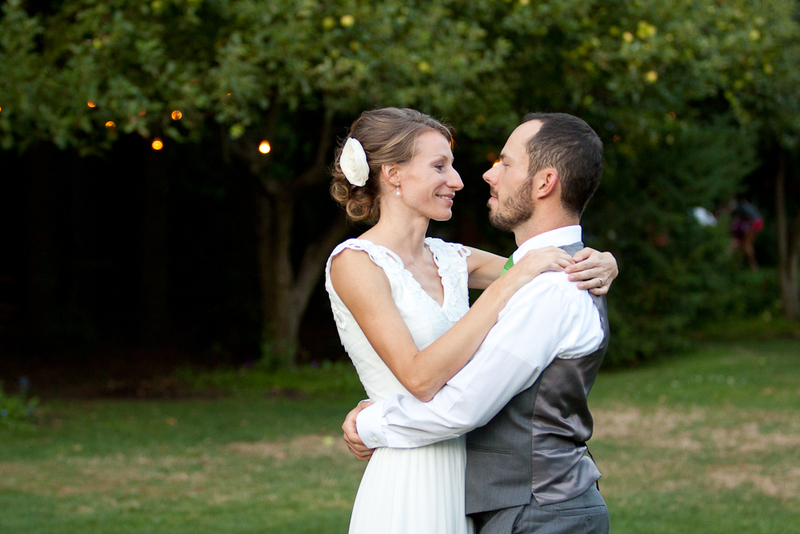 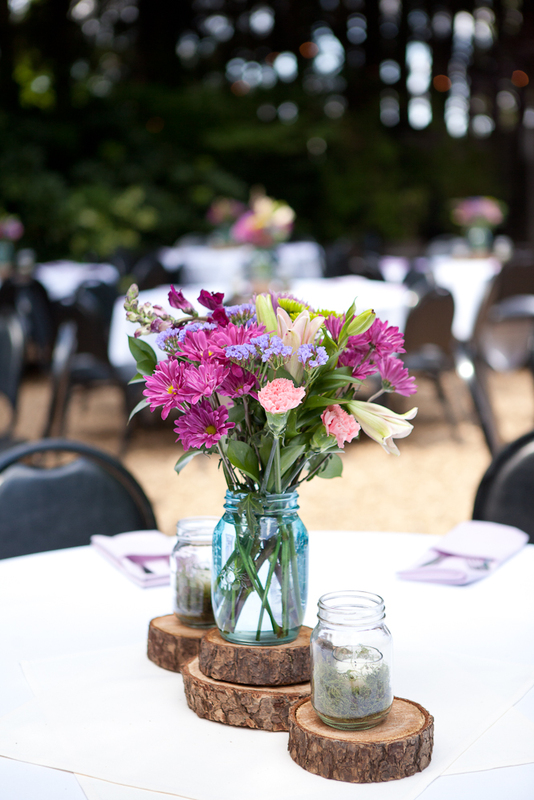 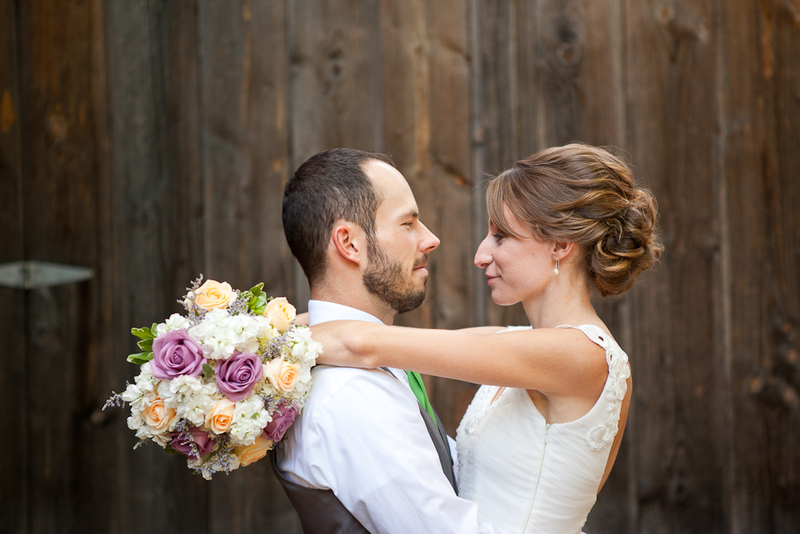 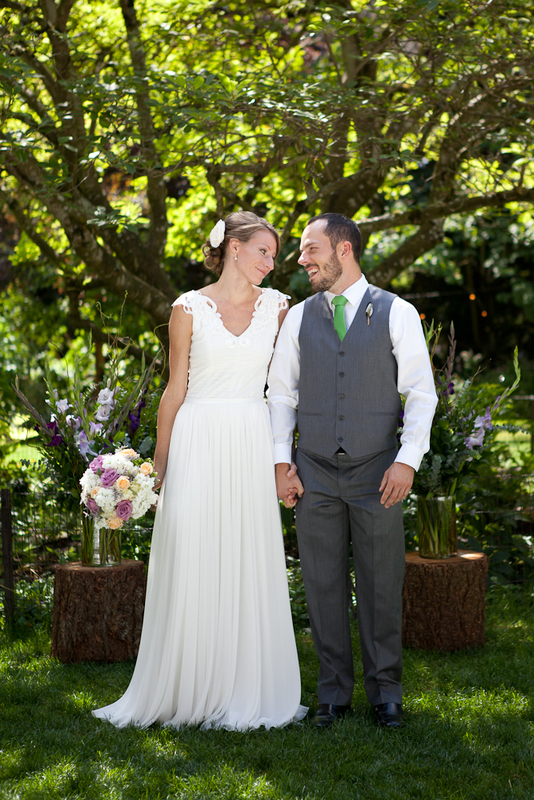 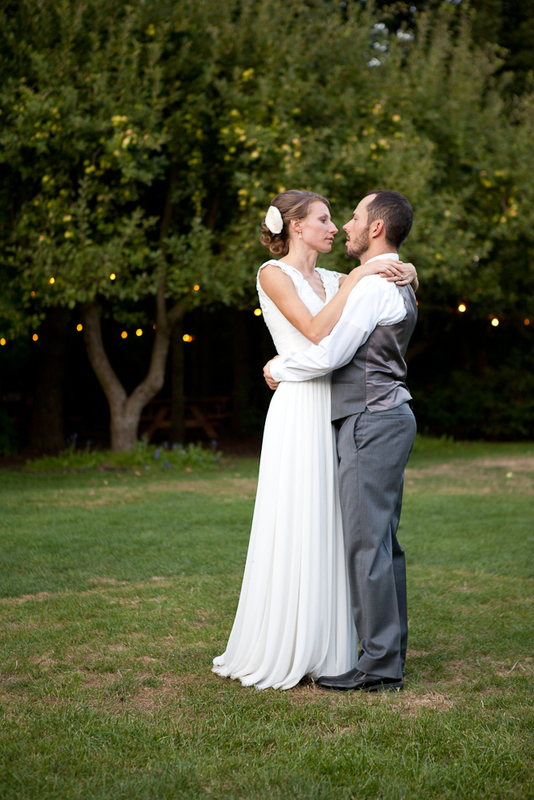 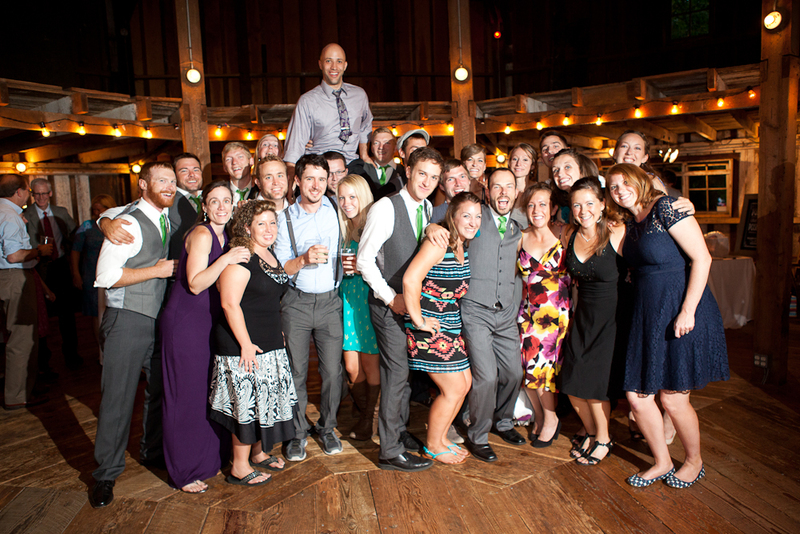 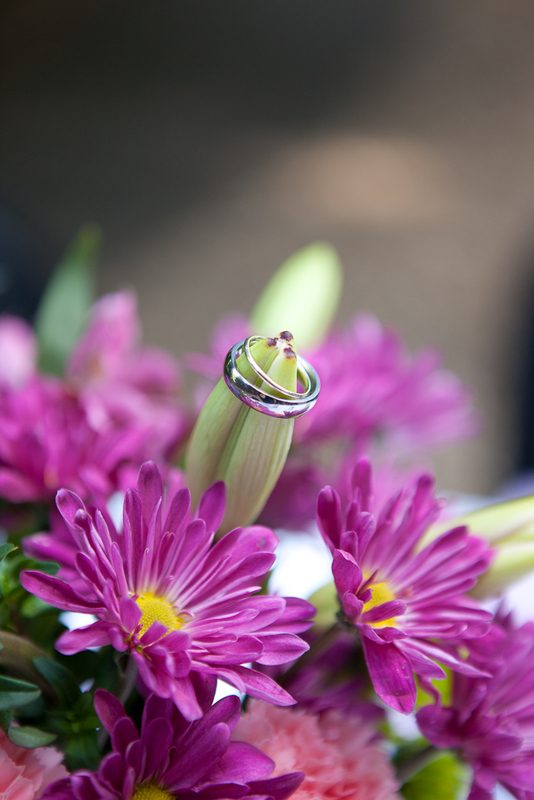 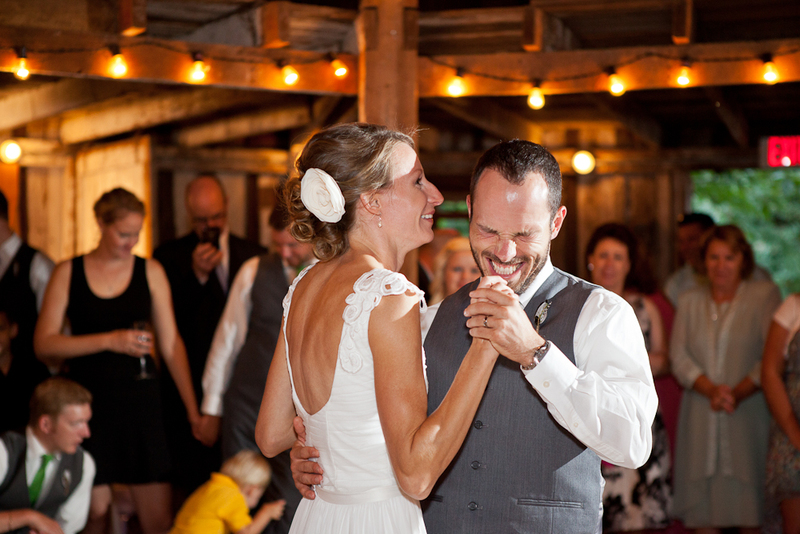 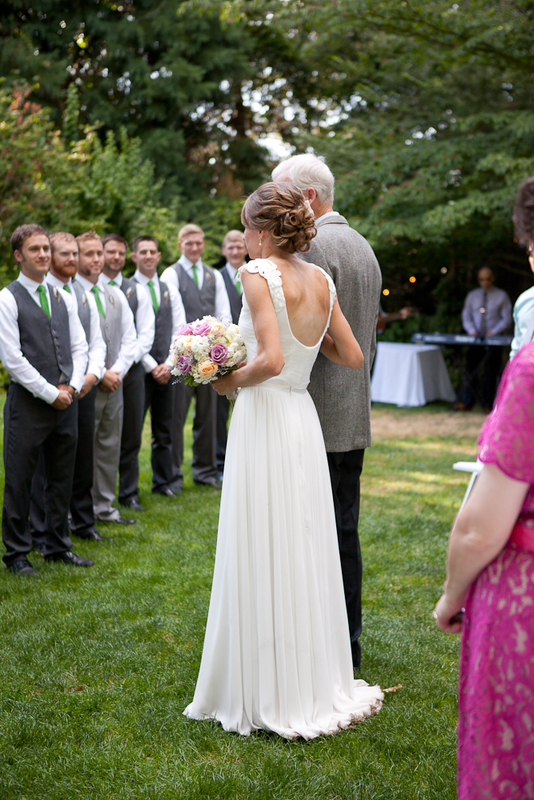 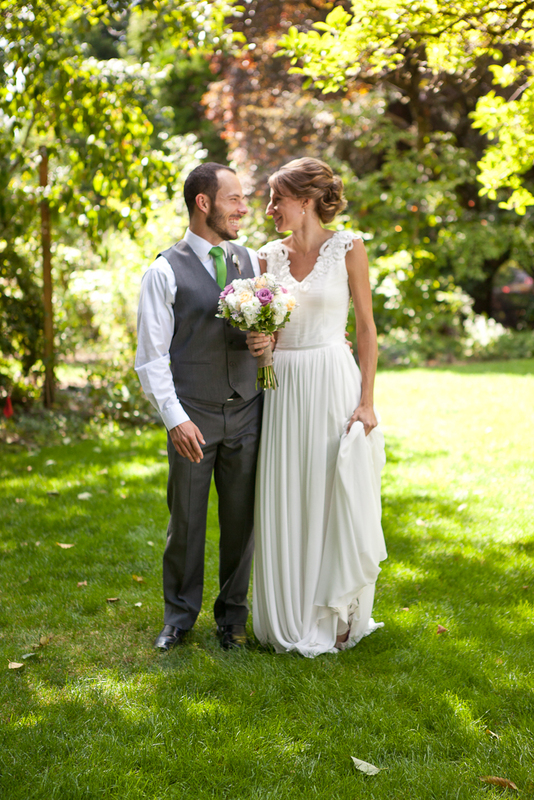 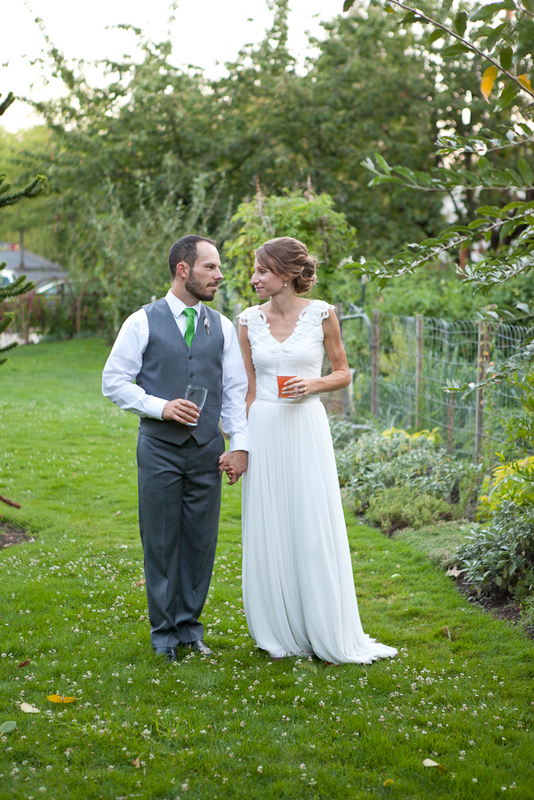 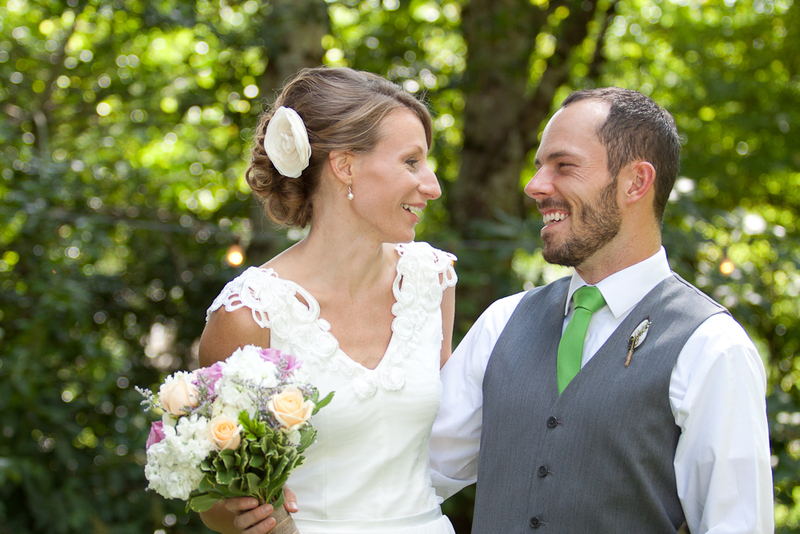 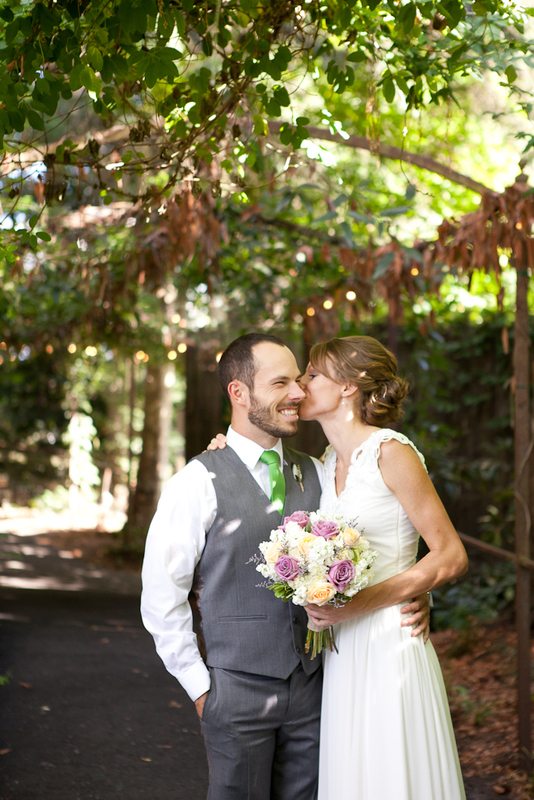 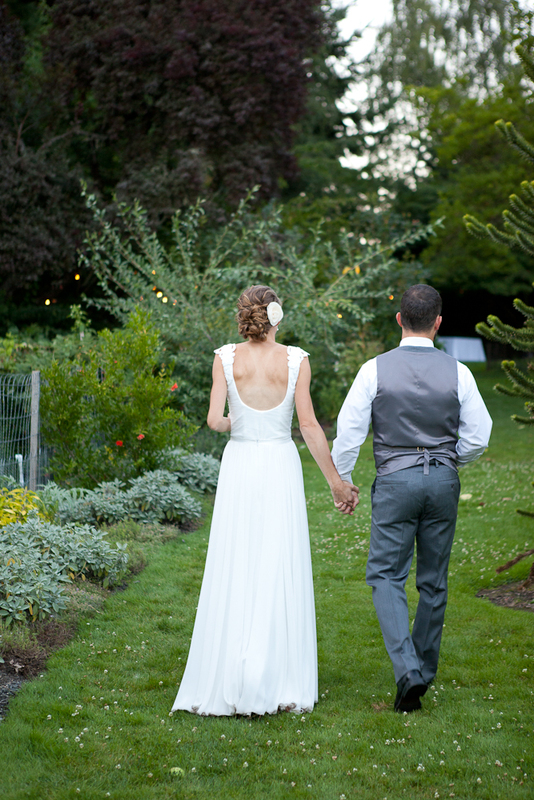 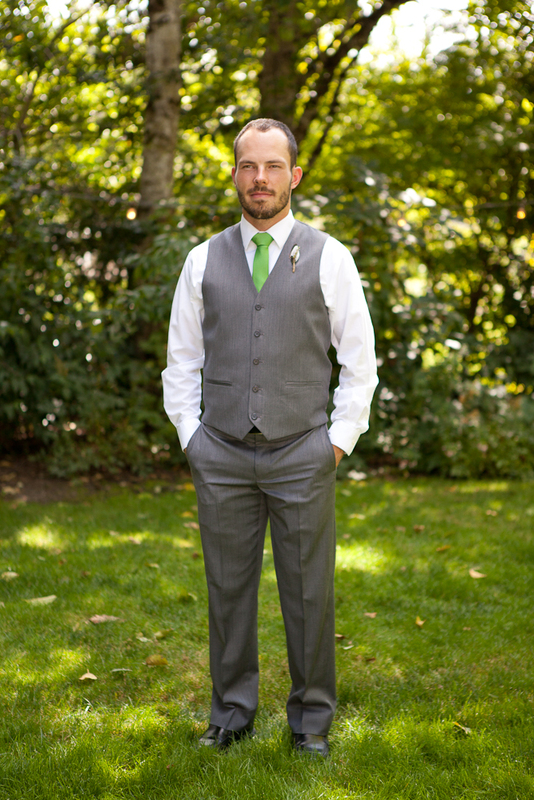 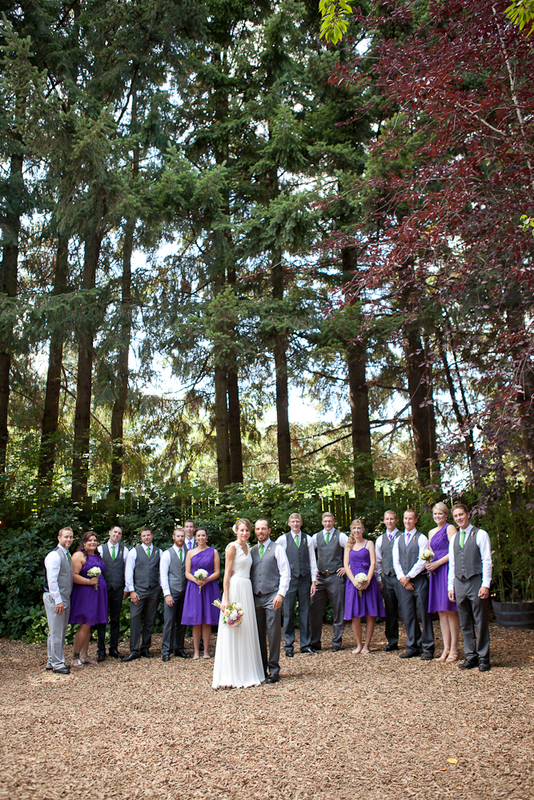 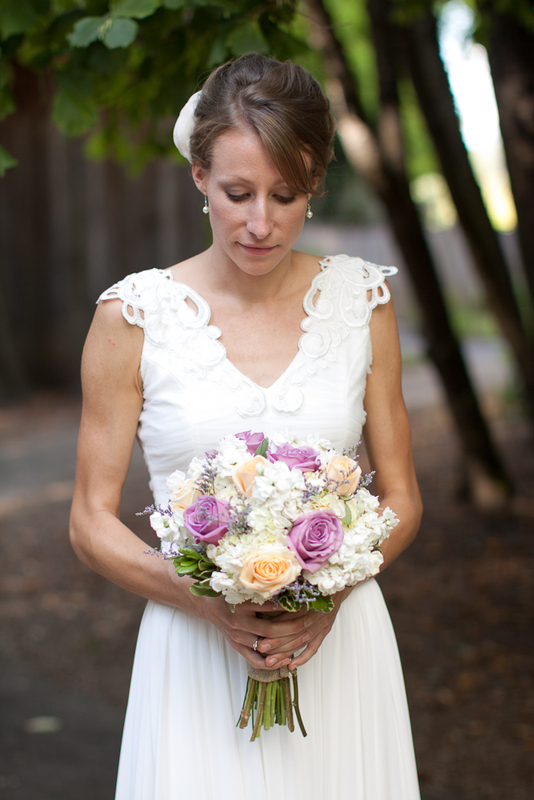 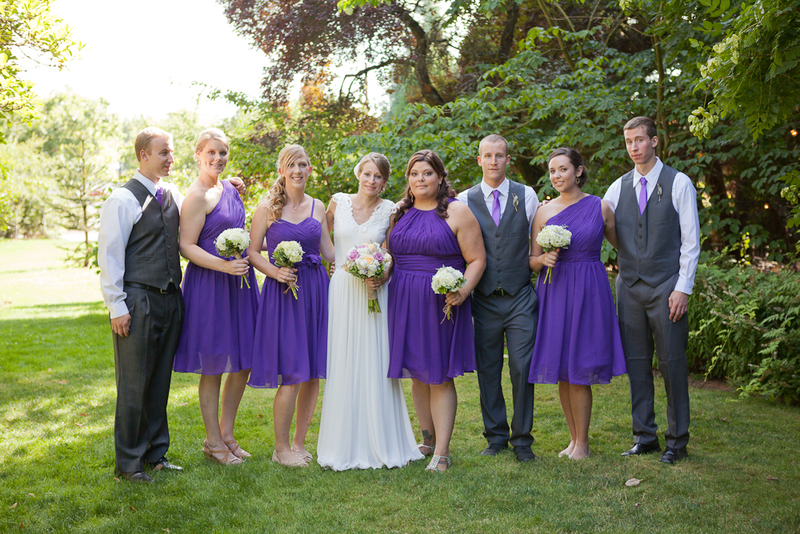 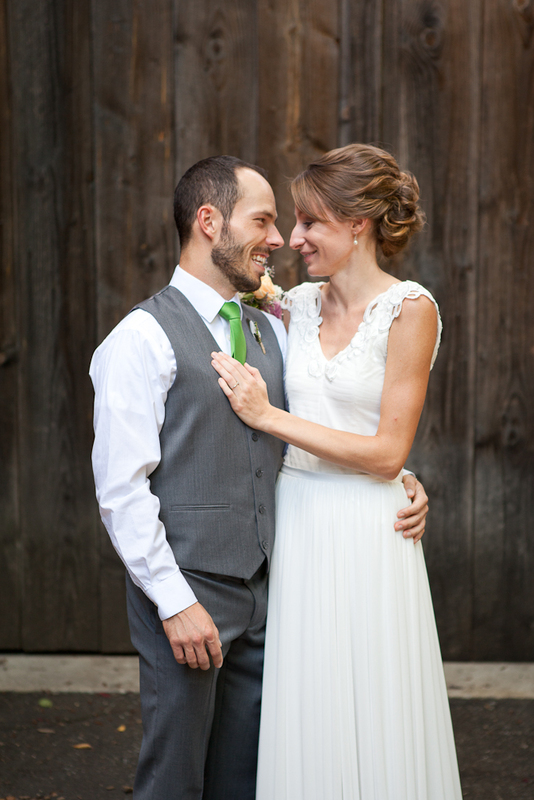 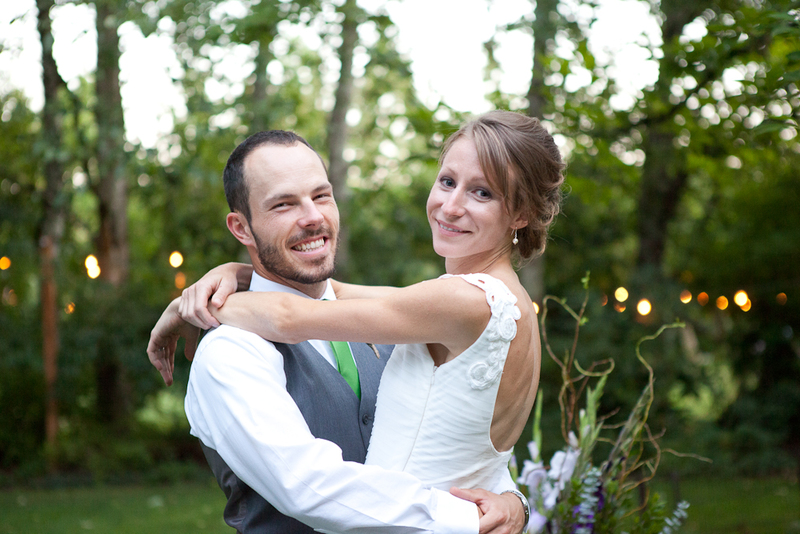 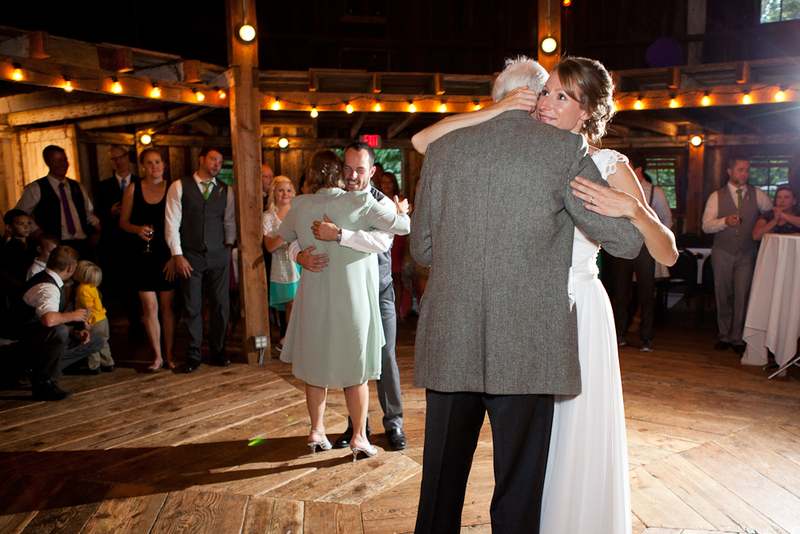 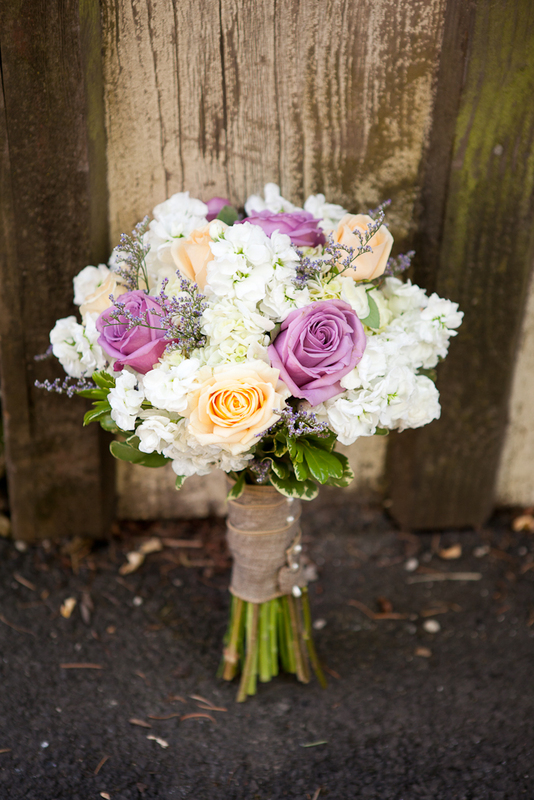 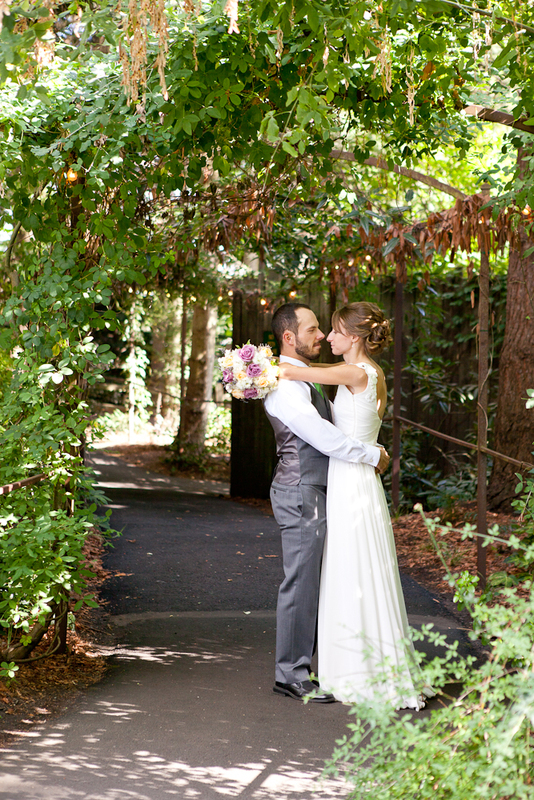 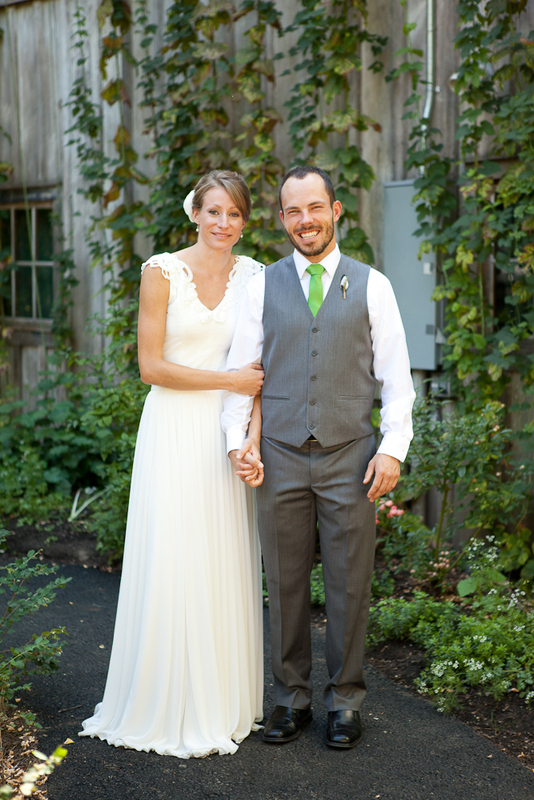 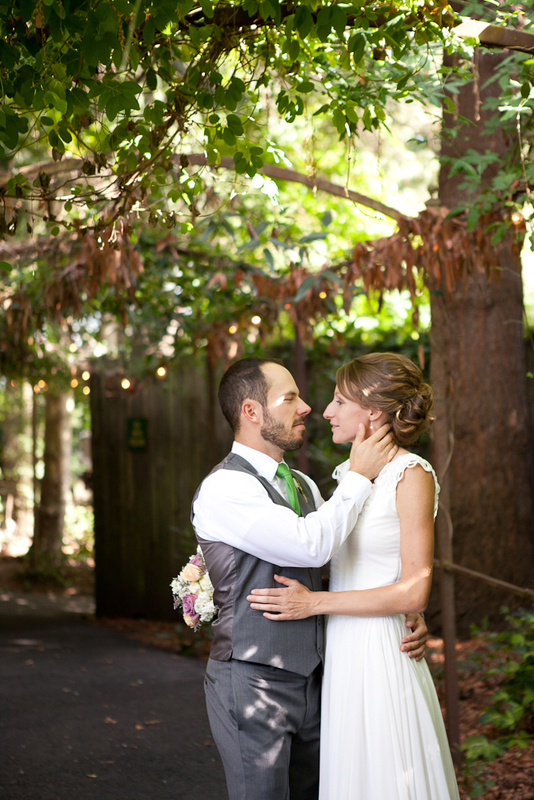 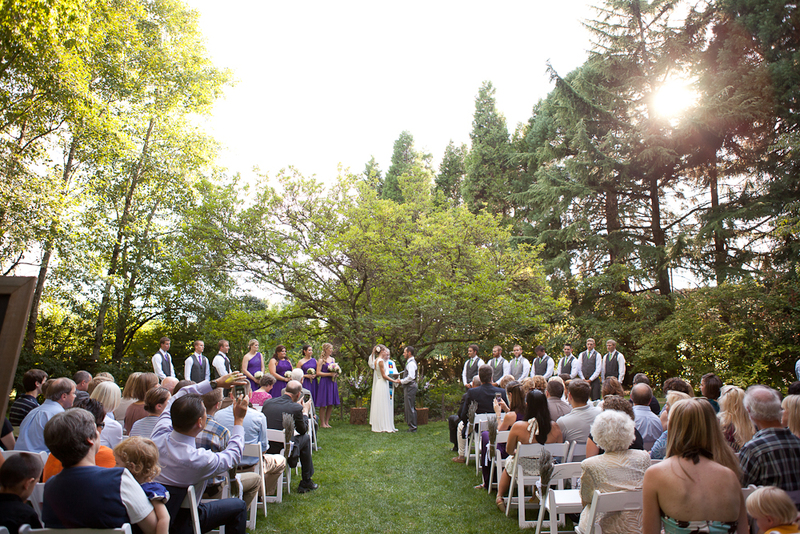 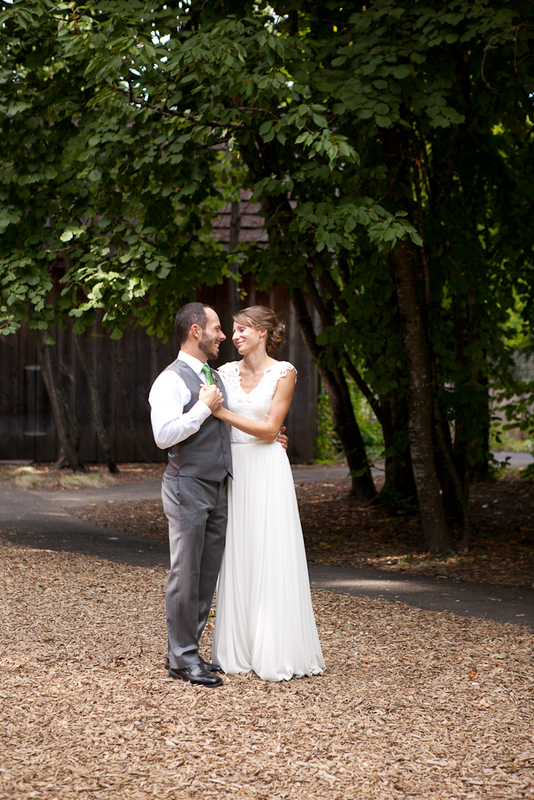 Ruth and Ryan were married at the Cornelius Pass Roadhouse on a perfect summer Friday. 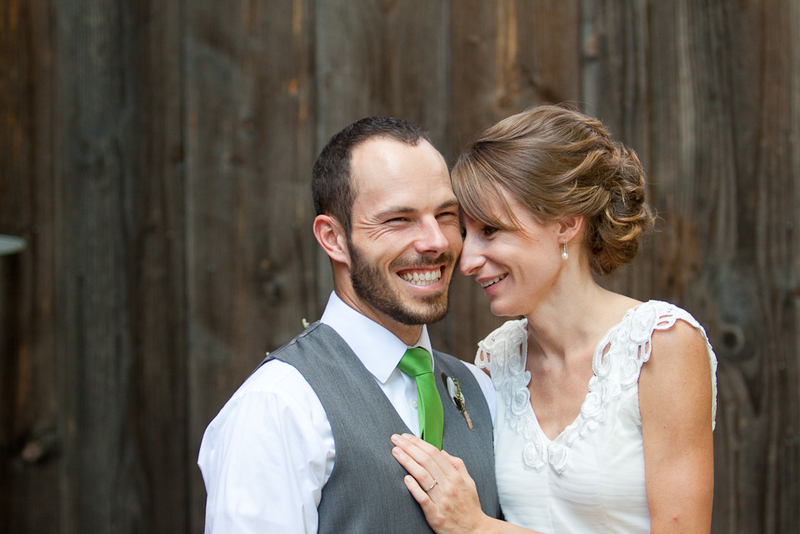 Since these two live on the East Coast, we’d only met once before the actual wedding day – but they were so easy to work with and full of lots of great smiles and laughter throughout their portrait session. 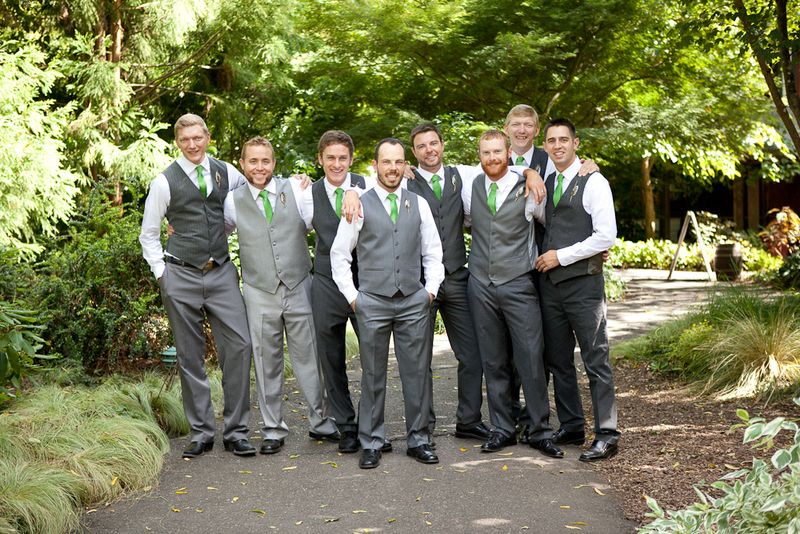 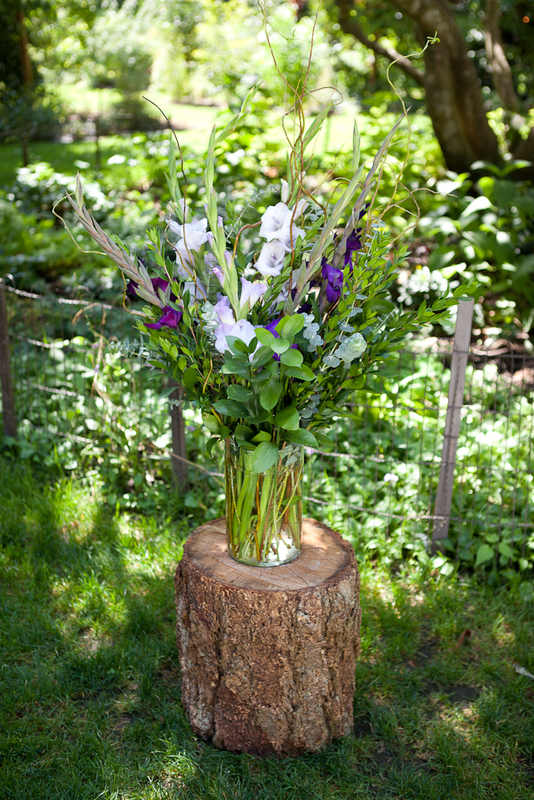 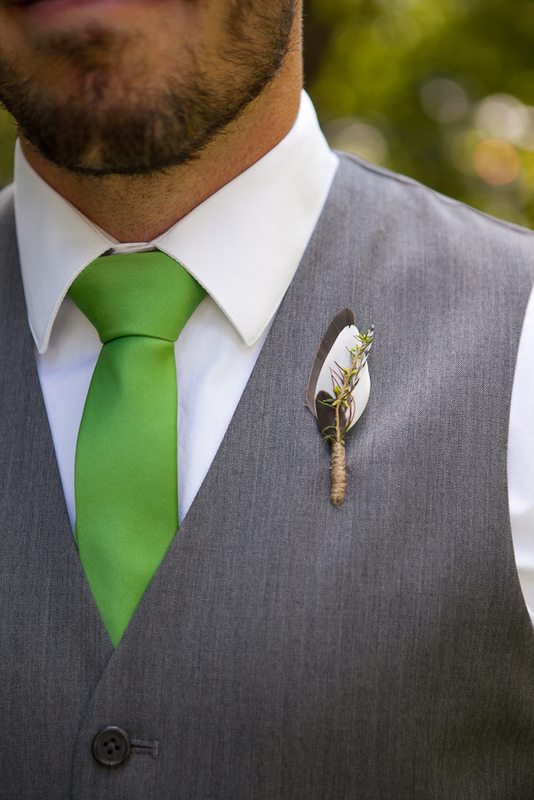 The groomsmen and the men in the bridal party all wore grey suits, with feathers for their boutonnieres, and the girls carried lovely white and peach and light purple flowers in their bouquets. 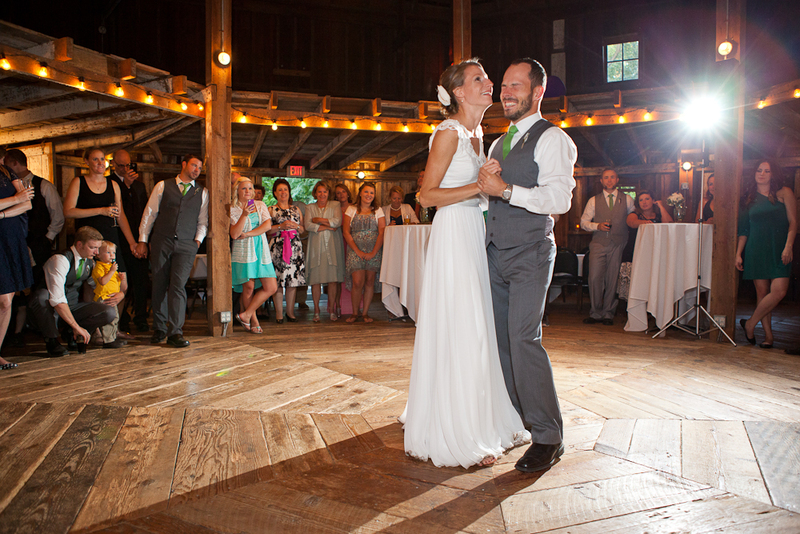 Ruth and Ryan had set up a Polaroid photobooth inside the octagonal barn to use as their guest book, and the guests loved it! 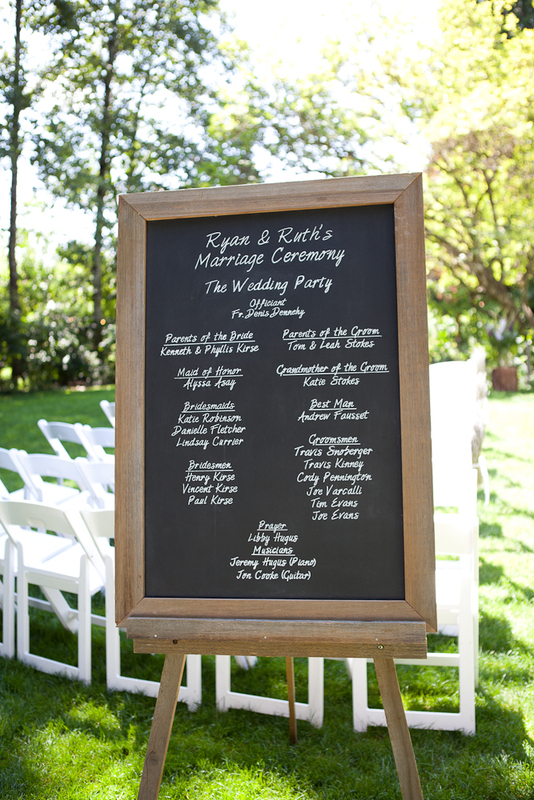 I really liked the giant chalkboard they used to serve as the program for the day. 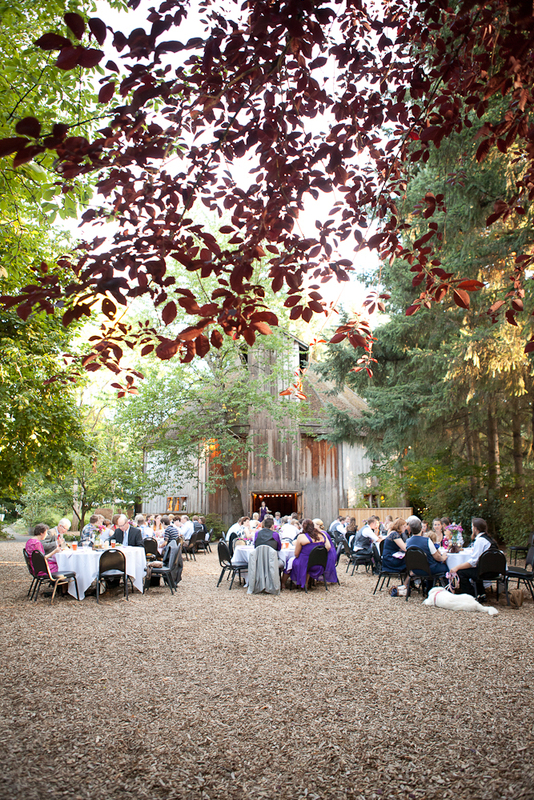 The sun was peeking through the trees during their outdoor ceremony, and the temperature was just perfect as the sun began to set during the reception outside the octagonal barn. 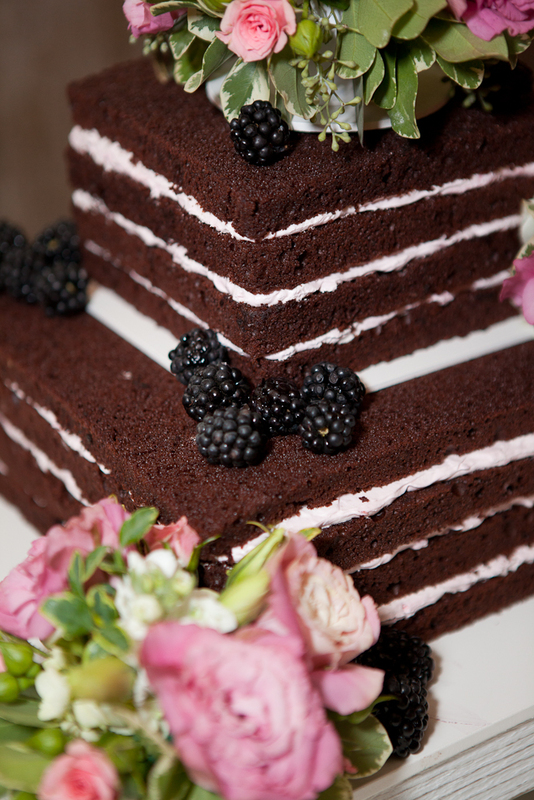 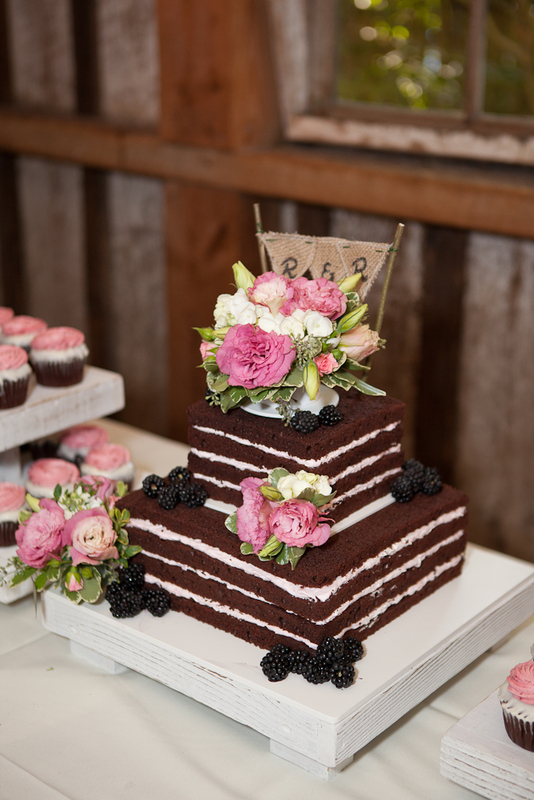 We moved inside for some dancing and to cut that gorgeous unfrosted chocolate cake topped with blackberries and flowers (I think some call them “naked” cakes – but whatever the name, I think they are absolutely stunning). 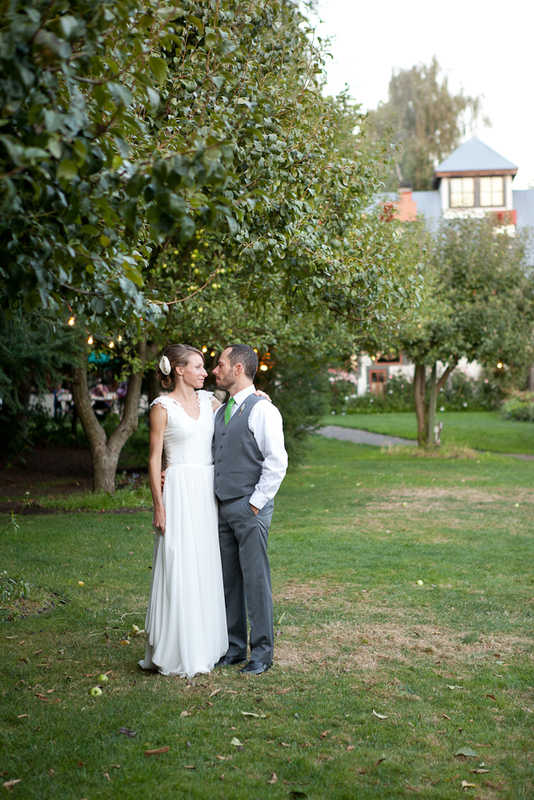 At the end of the night I was able to snag the couple for just a few more photos as the daylight faded away. 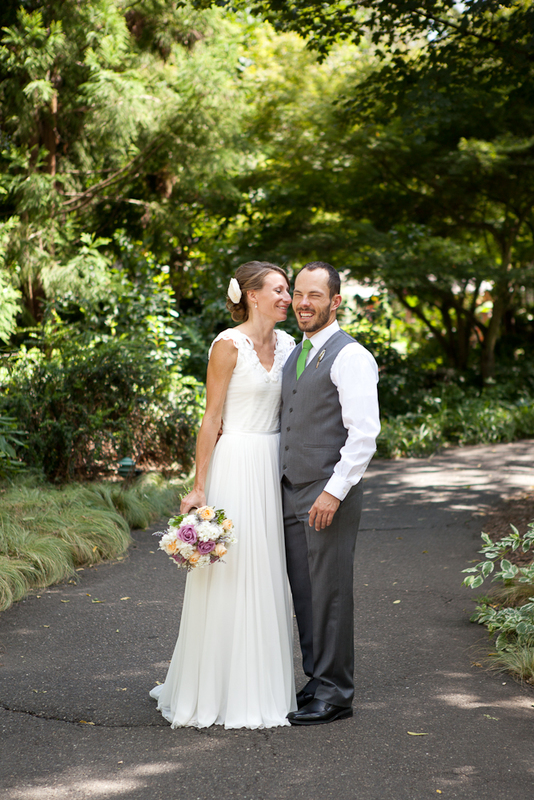 Congratulations again to these two!